Get down to business with native groundcovers! Andrea DeLong-Amaya, Director of Horticulture at the Lady Bird Johnson Wildflower Center, has got you covered. 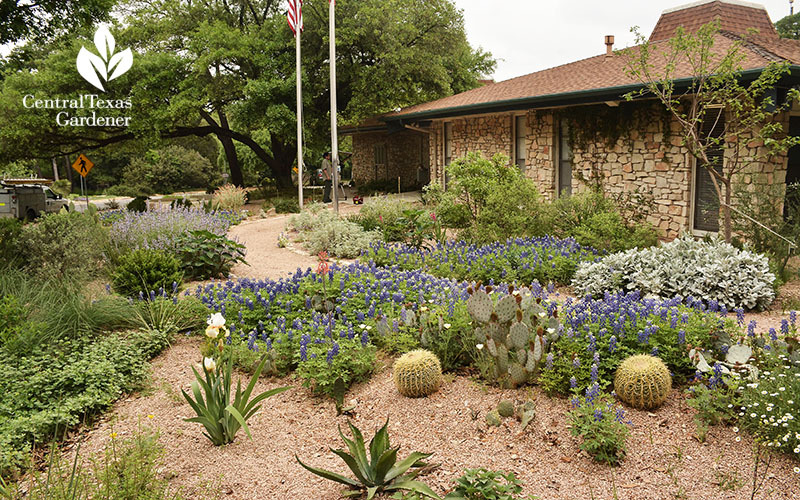 Wildflower Center horticulturist Leslie Uppinghouse explores native plants for septic fields. On tour at Rollingwood City Hall, pick up garden design ideas even after hours. Daphne explains what to do about oak tree root suckers, sapsucker holes in a young Montezuma cypress, and how a couple protected their plum tree flowers in below freezing weather. Rollingwood City Hall’s become a venue for the neighborhood and pollinators since replacing lawn with gardens and paths that invite interaction all year. As a waterwise demonstration garden, it captivates each season with annuals and perennials arrayed among structural evergreens. Designed by Lauren and Scott Ogden, and Patrick Kirwin, the game-changing garden found its new roots thanks to neighborhood donations. Get down to business with native groundcovers! Andrea DeLong-Amaya, Director of Horticulture at the Lady Bird Johnson Wildflower Center, has got you covered in sun and shade. What are the growths under my live oak tree? What are the holes in my Montezuma cypress? 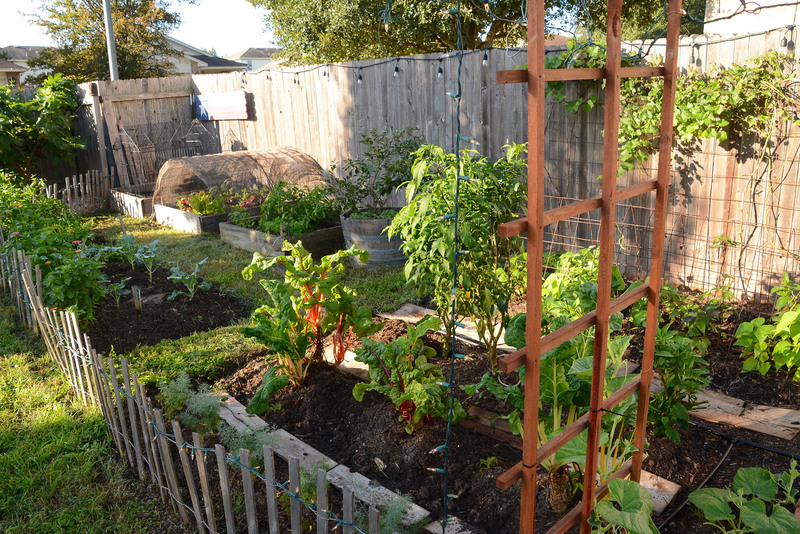 Thanks to Yvonne Martin in San Antonio for her great question about growths under her live oak tree. Also, she’s concerned that one tree appears stressed and is dropping leaves, while the other tree is not. First, not every tree of the same species behaves the same way in nature, even when planted in the same landscape. Slight differences in genetics may cause seemingly big differences in behavior. Also, juvenile trees often behave quite differently than mature ones. As for live oak trees, all of them do shed a fair number of leaves in spring, just before putting on their brown flowers, called catkins. But some live oaks may drop more leaves than others. This is especially true of these trees while young and small, when they may lose all of their leaves. The “growths” underneath the tree are root suckers, which are also normal. And also manifest differently within the species. Some live oaks produce them by the thousands, while others may only produce a few each year. If in a lawn situation, as here in Yvonne’s yard, they can simply be mowed when you mow the grass. Since the suckers are connected to the roots, don’t apply herbicides, since the poison will be transmitted through the vascular system, causing damage to your tree. I’d also recommend moving the decorative stones away from the trunk and widening the area of mulch around the trees root zone. In San Marcos, Mari Sica noticed a LOT of holes on her three year old Montezuma cypress. What caused them and is there any concern for the tree? These appear to be sapsucker holes, and yes, because there are so many holes, they are problematic for her tree. While trees can take a fair amount of this type of damage and recover, the birds have done quite a number on this small tree, and since it is also so young, a little damage goes a long way. I would predict that this tree will continue to decline, but if you want to try to nurse it back to health, give it plenty of water, as it’s a riparian species, and apply some type of temporary protective cover around the tree, wherever there are holes. Plastic cylinders designed to protect the base of trees from evil string trimmers, that come in various sizes and are easily removed, would work well to limit the birds ability to access the trunk the next time it visits. Those three days of below freezing weather in early March had many of us concerned about our flowering fruit trees. In Leander, Manny and Anna Ruiz had lots of blossoms on their Santa Rosa plum. A couple of real-life MacGyvers, they installed a 90 watt lamp low on the trunk, and then covered the tree from top and bottom. Genius! They now report lots of small green fruits. Bees were certainly happy about the early mountain laurel flowers in Keisha and Dave Lamb’s garden in College Station! 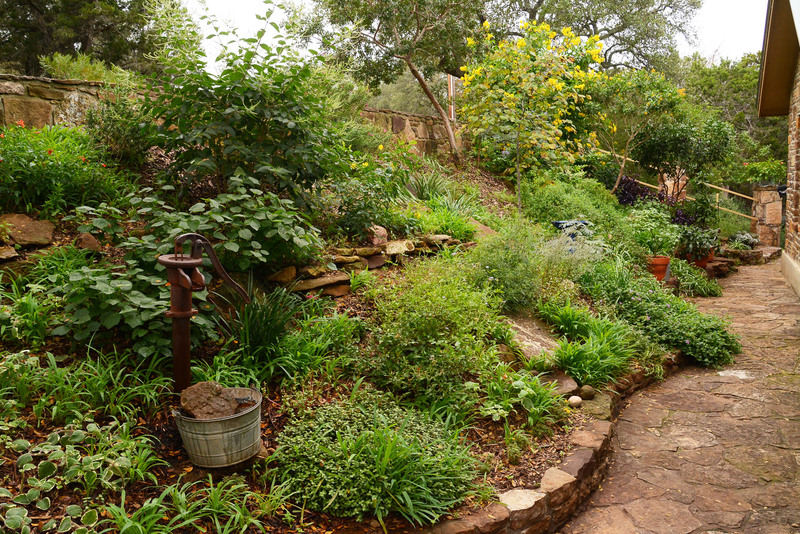 Get native options for septic fields/drain fields and how to work with the contractor with Leslie Uppinghouse, Horticulturist at the Lady Bird Johnson Wildflower Center.